You've got your design transferred on the fabric, it's all hooped up and ready to go, but wait, you need some stitches! There are some amazing links with stitch libraries on the web. Some include video while others have excellent drawings and photographs. It seemed silly for me to do a bunch of my own so I thought I'd share a little bit of what is out there. 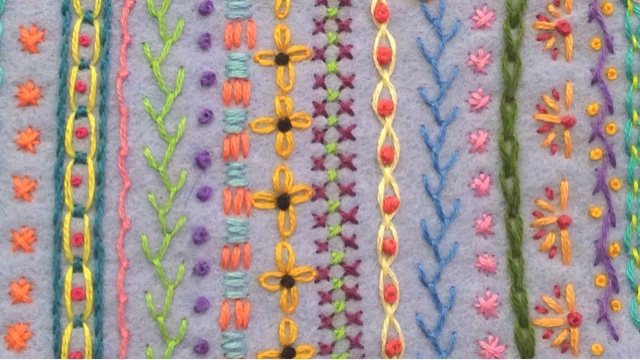 When I do embroidery I mostly use a few simple stitches, seed stitch, stem stitch, french knots and satin stitch. If you master these you are armed to start making art. While many of these stitches are used as outlines or decorations I like to use them as filling stitches to create images of thread. More about that later though...I want you to get the hang of the basic ones and then we'll get on to the really creative part. There are so many stitches to learn on the sites I've posted that it is easy to get overwhelmed. To keep it simple, you can start with the ones I've listed above (they are all linked) but do check out these links. They are so inspirational! 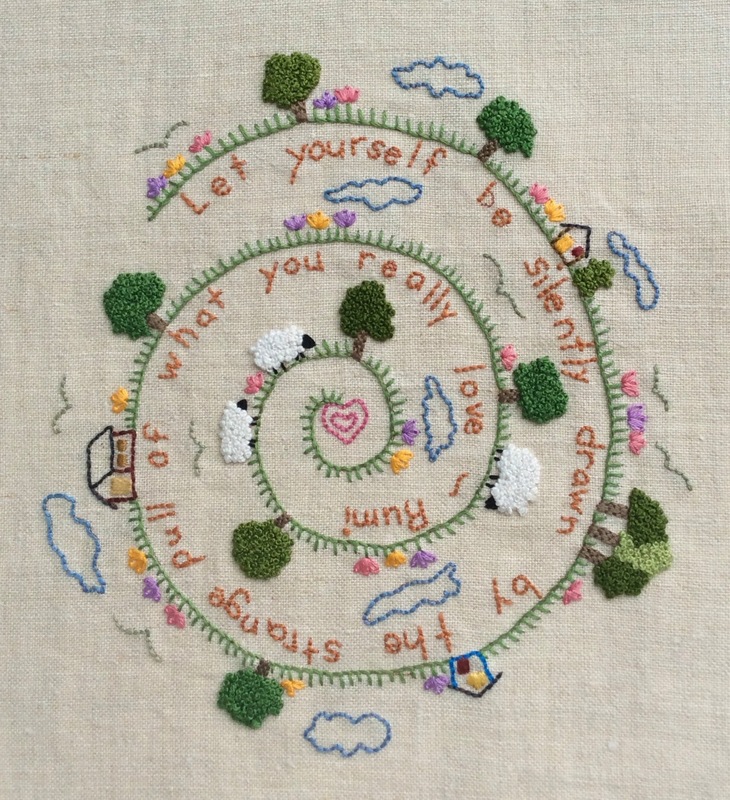 Jenny Hart of Sublime Stitching put together some great tutorials. Check out her wacky embroidery patterns while you're there. March 29, 2008 is the birthdate of this blog and I'm shocked that over seven years have passed! I've posted about trips, projects, recipes, various moves and life events. I've participated in blog hops, gotten to know many interesting people and it's been fun. It's time to make a few changes that I think will create a better blog. 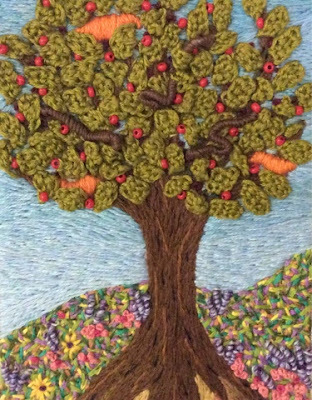 As many of you know my passion is textile arts and so that is what I've decided to focus on. It is difficult to create anything without some fundamentals and I've been thinking about embroidery lately so let's start with that. A beginner to a novice will find some great advice at these links - I've been embroidering for about four decades and I'm going to test out some new transfer ideas. Enjoy the little tour and brush up on a few basics.